Learn everything about Crus Bourgeois Bordeaux, the best wines, top producers, vines, history and the classification. The Bordeaux Crus Bourgeois Classification continues its round of recent changes since it was first created in 1932. In those days, 444 Medoc chateaux were classified. The changes will allow any Medoc chateau to apply for the classification. The original 1932 Crus Bourgeois classification was revised in 1966, 1978, 2003, 2008 and 2015. The most recent changes shook up the Crus Bourgeois classification, bringing about major changes and an upheaval among some its most important members as you will read. Clearly, the 1932 classification was not exactly set in stone, unlike the famous 1855 Classification of the Medoc. For a chateau to be in the Crus Bourgeois Classification, they must come from one of the 8 appellations in the appellation of the Medoc that covers the Left Bank. The communes are: Pauillac, St. Estephe, Margaux, St. Julien, Moulis, Listrac, Haut Medoc and the Medoc. Today, more than 25% of all the wine produced, bottled and sold from the Medoc is currently classified as Cru Bourgeois. When added together, the chateaux that make up the Cru Bourgeois Classification own more than 4,100 hectares of vines. The combined production of all the Cru Bourgeois estates comes to more than 29 million bottles of Bordeaux wine per year! #1 Over 25% of all wines from the Medoc are Crus Bourgeois classified Bordeaux wines. #2 the classification of Crus Bourgeois wines first took place in 1932. #3 In the first Crus Bourgeois classification in 1932, 444 chateau was classified. #4 Today, there are only 267 Crus Bourgeois classified estates. #5 The Haut Medoc has more Crus Bourgeois classified wines than any other Bordeaux appellation. #6 The classification of Crus Bourgeois Bordeaux wines is the only classification that is renewed every year. 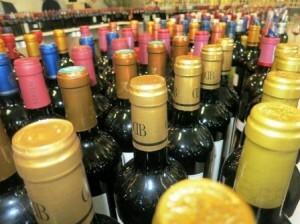 #7 Over 2,500,000 cases of Bordeaux wine are produced from all the Cru Bourgeois estates per year! 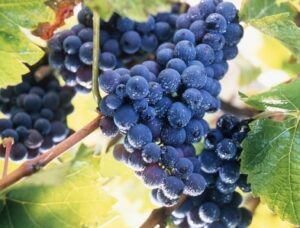 #8 Merlot is just as important to the blends as Cabernet Sauvignon for many Cru Bourgeois Bordeaux wines. #9 Of all the major Bordeaux appellations in the Medoc, St. Estephe has more classed Cru Bourgeois Bordeaux wines than any other appellation with 35. #10 The classification of Cru Bourgeois Bordeaux wines was the only classification based solely on the results of blind tastings. 6 Cru Bourgeois classified chateau come from the St. Julien appellation of which Chateau du Glana is perhaps the best from the appellation. 6 Cru Bourgeois classified chateau come from the Pauillac appellation with Chateau Pibran at the head of the pack. 20 Cru Bourgeois classified growths come from the Margaux appellation. There are a few of those estates that in any serious reclassification could be classed as a Fifth Growth today. Perhaps Chateau Labegorce is the leading estate in this category today. 35 Cru Bourgeois classified chateaux come from the St. Estephe Appellation! That is more than any other major appellation. In fact it’s more than all the other major appellations in the Medoc combined! If a new classification of the Medoc ever took place, there are numerous candidates for Fifth Growth status from Saint Estephe that are producing wine as good of better than several of the better known, Fifth Growth classified wines today. 79 Cru Bourgeois classified estates are located in the Haut Medoc appellation. Some of the top Cru Bourgeois wines are from Haut Medoc are from the Listrac and Moulis appellations. Cru Bourgeois Wine and Food Pairing Cru Bourgeois Bordeaux wines are quite easy to pair with food. Lamb, beef, veal, pork, stews, braised dishes, roasts and grilled meat or game and earthy dishes with mushrooms are perfect. Hard and soft cheese are also great for wine and food matches. Plus, because Cru Bourgeois Bordeaux wines do not normally need much, if any aging, you can buy a bottle today, and open it tonight it you wish! However, unlike the 1855 classification of the Medoc, the Cru Bourgeois classification was never certified. Eventually, that lack of certification led to a continuing reclassification of the Cru Bourgeois chateau and vineyards. It took until 1962 before an official syndicate of Crus Bourgeois wines was established. Over the years due to the constantly changing Cru Bourgeois Classification, some unsuccessful applicants sued, saying the selection procedure was biased, there were conflicts of interest, even though the results were not certified. Others sued because chateaux that were not from the Medoc began using the term as did wineries who were not deemed to be Cru Bourgeois. The court ruled in their favor. A tasting took place in 2002 from all estates wishing to be classed as Cru Bourgeois based on wines from 1994 to 1999. The results produce three levels of Crus Bourgeois Classification; Cru Bourgeois, Crus Bourgeois Superieur and Crus Bourgeois Exceptionnel. This would be revised every ten years and was to be certified by the French Government. In 2003, the results were announced with 247 chateaux earning the Crus Bourgeois Classification. There were several reasons the numbers of classified wines declined in the classification. First, several vineyards were purchased by larger estates and merged out of existence. Some wines did not apply to be classified, for example, Sociando Mallet. 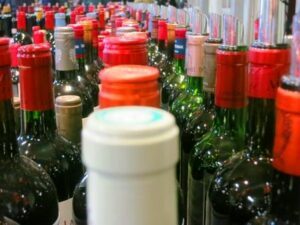 The classification process also found 77 wines that were deemed not worthy of the classification based on blind tastings. One property combined their sense of humor with a protest over being dropped from the Crus Bourgeois Classification. Chateau Lafon, owned by Remy Fauchey changed the name of their estate to Chateau L’Inclassable, which is translated to Uncategorized, making a strong comment on their lack of classified status. However, like the ever changing classification in St. Emilion, chateau were not happy with the results. Some sued, others removed the Crus Bourgeois classification off their wine labels. After the lawsuits were adjudicated, the judges ruled that the classification was not valid. There were conflicts of interest and the blind tasting panel was not competent. From that point forward, events rapidly changed into what we have today with the Crus Bourgeois classification. The Alliance des Crus Bourgeois du Medoc came up with a new Crus Bourgeois Classification system in 2008, that would be continually updated, making it the most current, living classification for wines as it would be updated every year. Along with the yearly reviews, the Alliance des Crus Bourgeois discontinued the previous system of classification. The terms Crus Bourgeois Superieur and Crus Bourgeois Exceptionnel were stopped. Another important factor within the new system of classifying the wines is that today, it is the specific wine that is classified, not the chateau or vineyard. That is a big part of the reason the classification is renewed every year. Due to that decision, numerous estates that were previously part of the Crus Bourgeois classification declined to participate in the current classification saying; the updated system lacks the prestige and charm of the original Crus Bourgeois classification. Potensac, Haut Marbuzet. Phelan Segur, Poujeaux, Sociando Mallet and the other chateaux that were undeniably the top Crus Bourgeois producers were all no longer part of the classification. Their logic was perfectly reasonable, why should they bear the same level of classification as other estates that sold for half the price or less? In fact, most of the top estates that were formally classified as Crus Bourgeois refused to participate in the new classification. Of course they were right about the loss of prestige. The new certification did not offer differing levels of quality. Perforce, chateaux that had earned the level of Cru Bourgeois Exceptionnel were not separated from the other producers. This new system led to the refusal of the top chateaux to participate with The Alliance des Crus Bourgeois. Instead, they created their own competing organization, Les Exceptionnels. All the former classified Cru Bourgeois Exceptionnel joined this new group, with the exception of two chateau; Haut Marbuzet, who no longer wants to be part of either classification and Phelan Segur. The decision of Phelan Segur was understandable as the owner of the Phelan Segur, Thierry Gardinier was the director of the Alliance Cru Bourgeois. Cru Bourgeois Classification Today The 2010 Crus Bourgeois Classification was released in September 2012. The Alliance des Crus Bourgeois made significant changes in those results. For the first time, all Crus Bourgeois chateaux were equal in ranking. The previous classification of Cru Bourgeois Exceptionnel is no longer being used. The new system had all chateaux and wines considered equals and instead of a tired classification, it’s looked at as a certification. The marketplace did not care for the new classification, let alone understand it. Neither did several of the producers. The number of Cru Bourgeois classified estates continues evolving. For the 2009 classification, 246 estates included in the Cru Bourgeois Classification. That quickly grew to 260 chateaux with the 2010 Classification. 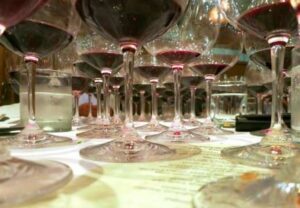 For the 2011 vintage, 256 wineries were included. With the 2012 Cru Bourgeois Classification, The Alliance des Crus Bourgeois du Medoc awarded Cru Bourgeois status to 267 chateaux. The continued growth among the Cru Bourgeois producers took step back with the difficult 2013 vintage, as only 251 estates were classified. Chateaux included in the Cru Bourgeois are spread among the different appellations with the majority of estates coming from the Medoc, followed by the Haut Medoc and then St. Estephe, Moulis, Listrac, Margaux and Pauillac. There are no Cru Bourgeois chateau from the Saint Julien appellation included in the classification as 2015. The forward thinking Frederic de Luze, was the influential, president of the Alliance Crus Bourgeois and the owner of Chateau Paveil de Luze in the Margaux appellation that really sparked much of the innovation and modernization of the classification before he passed away. He was replaced in 2016 by Olivier Cuvelier, whose family owns Chateau Le Crock in Saint Estephe, as well as Chateau Leoville Poyferre in St. Julien. In late 2015, things changed again for the Cru Bourgeois classification, and in my opinion, for the better. Starting with the 2018 vintage, which will be released in 2020, chateaux will now be allowed to be classified into two different levels of quality, Cru Bourgeois and Cru Bourgeois Superieur. Plus instead of reclassifying their wines every year, the new classification will remain in place for 5 years. This is going to help the new “Classement des Crus Bourgeois du Medoc” gain favor with the wine buying public. Another development for the better was a change in the rules for earning classification status. Blind tasting’s which takes place shortly after bottling, about 18 months after the vintage will only be used to measure 50% of the score. Things like the terroir, the chateau and promotional efforts could also be considered. Bureau Veritas, an independent entity, evaluates the chateaux, looking at everything from their grounds, vineyards and cellars. 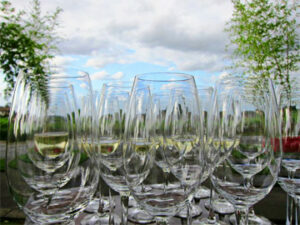 The agency also oversees the blind tastings submitted to a jury of Bordeaux professionals. How was the removal of the different levels of classification perceived by the Bordeaux Cru Bourgeois producers? The estates that held the ranking of Cru Bourgeois Exceptionnel were furious to lose their position of status. Of course, everyone else is thrilled to be in the same level of class. Did consumers care? In America, no. It didn’t matter. The only true classification that works in America, and frankly most of the wine buying world is the market place. Early results show that Cru Bourgeois Classified estates are able to sell their wine for slightly more than wines with only their appellation listed on the label. All of that factored into the vote taken in the 2015, supporting the changes for the new Cru Bourgeois classification of 2020. The new Cru Bourgeois classification of 2020 will bring back the different levels of classification. The best chateau will be classed as Cru Bourgeois Superieur, Cru Bourgeois Exceptionnel and Cru Bourgeois. Even better, from 2020 forward the classification will stand for a 5 year period of time. This should help raise the level of awareness for the Cru Bourgeois estates. The level of classification will be determined by 4 different criteria, with each criteria having a different weight. Most importantly, each estate will present the 5 most recent vintages of their wine for a blind tasting. Chateaux will also be graded on their viticultural practices and environmental awareness. The vinification and barrel aging regimen will be looked at with new a critical level of awareness. Chateau that for example are able to vinify on a parcel by parcel basis are going to be rated higher. Lastly, an estates promotional activity, which includes receiving visitors, marketing and distribution of their wine in France and more importantly, in the export market are also going to be factors that count to determine an estates level in the new Cru Bourgeois classification of 2020. This is a very constructive improvement to the cumbersome and difficult to understand classification system. In Bordeaux, classification is always an issue. Levels of status in classifications or certifications really do matter. Plus, having personal experience tasting a reasonable amount of these wines, clearly some chateaux produce much better wine than others. To add a sense of quality to the list, and to hopefully lure the top estates who refused to participate, because of their loss of status back into the Cru Bourgeois Alliance, it’s good to see different tiers of quality represented in the new classification. There has been one additional positive development with the new Cru Bourgeois Alliance, wine labels from members now feature an authentication sticker that showcases the Cru Bourgeois logo. This clearly visible sticker lets consumers easily know the wine is a classified Cru Bourgeois Bordeaux wine. More importantly, joining the modern age well ahead of many more expensive Bordeaux wines, from the 2010 vintage forward, all Cru Bourgeois wines feature a QR code, (Bar Code) on their back labels. The machine readable code should provide some great background on the wines, the estate, the blend etc. The QR code can be easily read using almost any smartphone. Frankly, there has never been a better time in history to be a lover of Cru Bourgeois Bordeaux wine. Today, with what the estates know about their vineyards, and the drive to produce the best level of wine possible, the wines have never been better! And they continue to remain affordable alternatives to the more expensive Classified Growths in the Medoc.